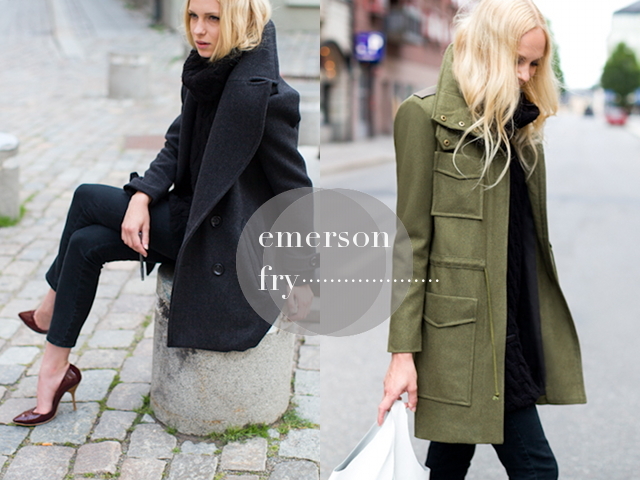 My friend Tess has been urging me to check out this brand for months - and as I just now discover the chic, effortless cool of Emerson Fry, I'm kicking myself that I didn't look into it sooner. Seriously, can I have everything? Shop their entire Fall 2012 Collection here. Happy Monday!